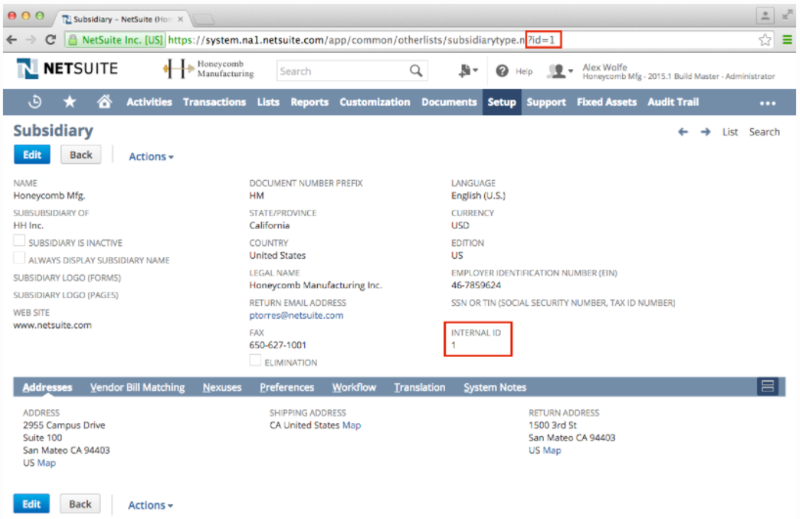 This guide will walk through setting up the sync with NetSuite. Vendors Yes Yes - Bill.com supports only one subsidiary per vendor. Multi-Currency Yes Yes Multi-currency is not supported. Receivables No No - AR transactions (Invoices, Credit Memos, Sales Orders, Invoice Payments, AR Funds Transfers) are not supported. A brand new Bill.com account with a verified bank account (bank account not mandatory). 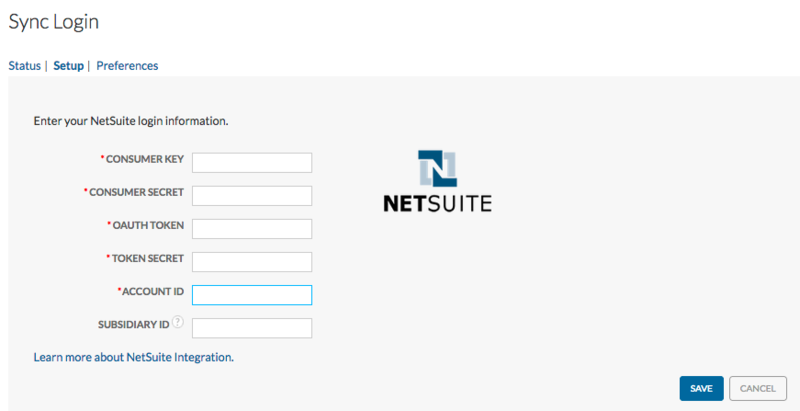 Access to the bundle in NetSuite. 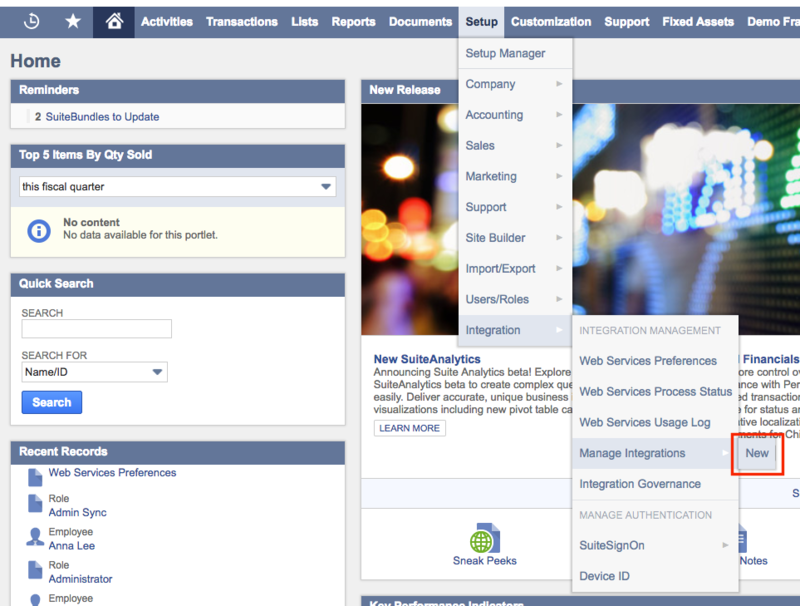 Contact Bill.com Customer Support and provide the NetSuite Account ID to get access. 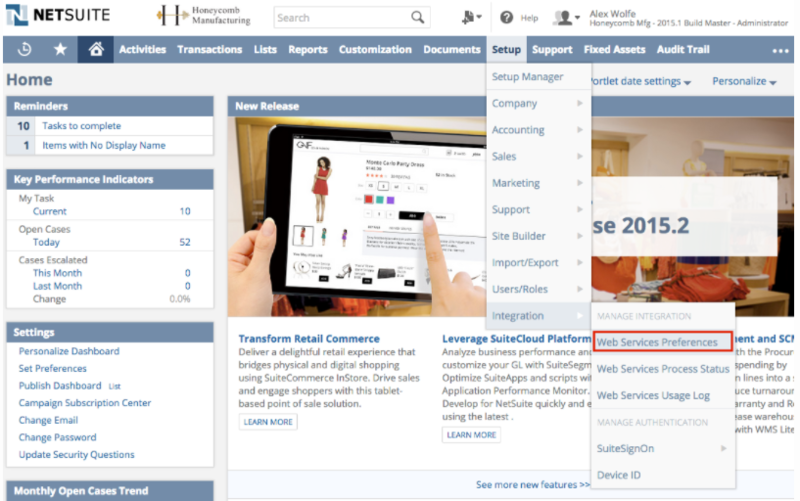 To find this in NetSuite, hover over Setup > Integration and click Web Services Preferences. Account ID is displayed on the top left. 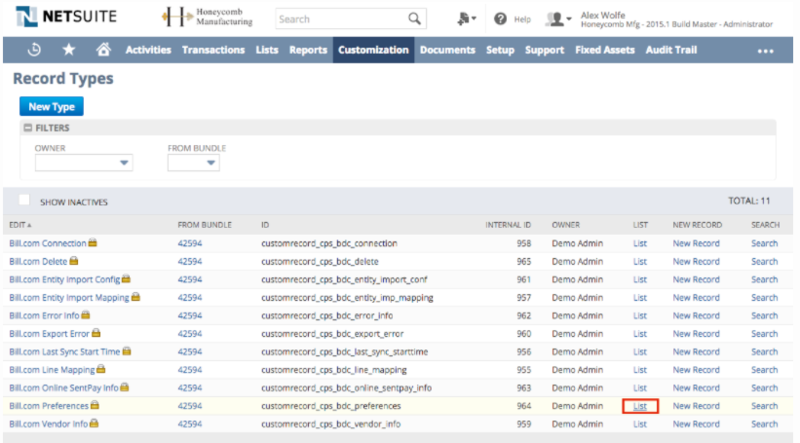 A NetSuite Administrator will need to create an integration in NetSuite that will allow us to obtain the Consumer Key and Consumer Secret that is required to connect the sync. 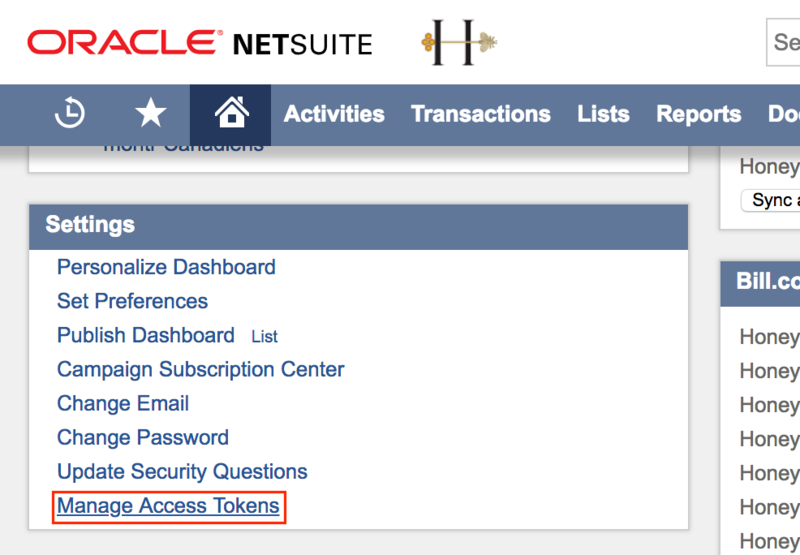 A NetSuite Administrator will need to create access tokens in NetSuite that will also be required to connect the sync. The bundle only needs to be installed once per NetSuite Account. 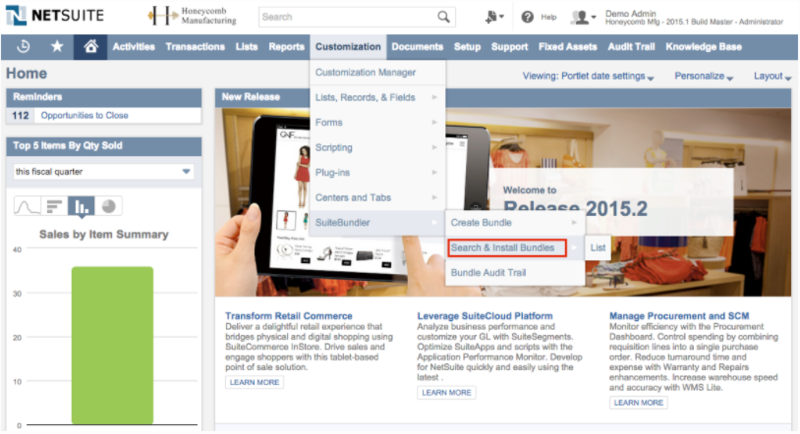 In NetSuite, hover over Customization > SuiteBundler and click Search & Install Bundles. Do not click “List”. Click Install Bundle. Do not change any of the Preference dropdowns. Once the bundle is fully installed, move onto the next section. If syncing subsiaries, the following will need to be performed once per Bill.com account / NetSuite subsidiary pair. Subsidiary ID: If using OneWorld, enter the Internal ID of the Subsidiary that this Bill.com account will sync with. If it is not a OneWorld account, leave this field blank. Click Save to perform the first sync. This will sync the Vendors and Chart of Accounts. The sync can take some time depending on how many records are syncing - if there are more than 1,000 Vendors and/or Accounts, take a break while it’s running. This is where bills with no GL accounts specified in Bill.com will post to during the sync. This is the default bank account used to record any payments made outside of Bill.com. Ex: Undeposited Funds is frequently used to record check payments received, but not yet deposited. This is the default account to record payments received outside of Bill.com. Find record called Bill.com Preferences. Click List for that row, which will be on the right side of the page. If using customers, items, locations, departments, and/or classes in AP transactions, check the box for that particular classification. 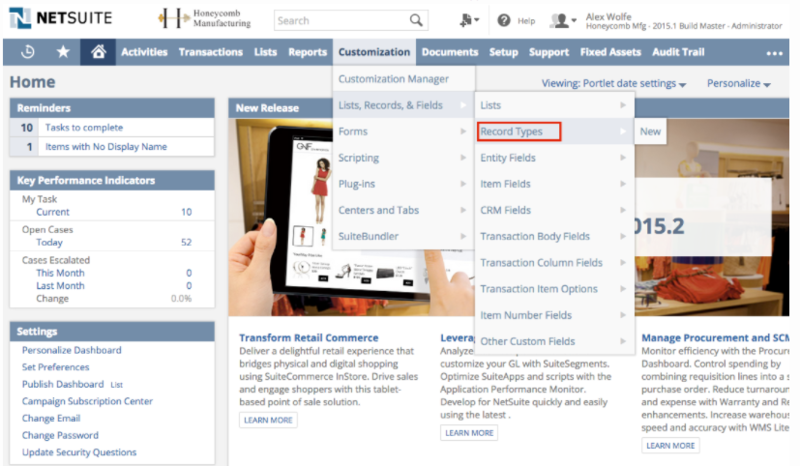 This will allow that record type to sync for use on transactions in Bill.com. 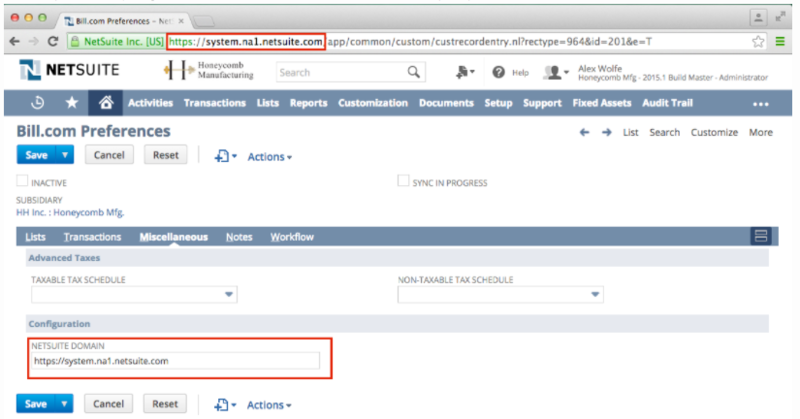 Do not enable the sync for a classification if it will not be used on AP transactions. This can increase the amount of time the sync takes, as well as cause unnecessary sync errors. If syncing Items for use on payables, but do not want a particular item subtype to appear in Bill.com, check the box for that item subtype. This will prevent items with that subtype from syncing into Bill.com. Ignore Customers in Bills/Credits: Prevents Customers selected on bill/credits from syncing to Bill.com. 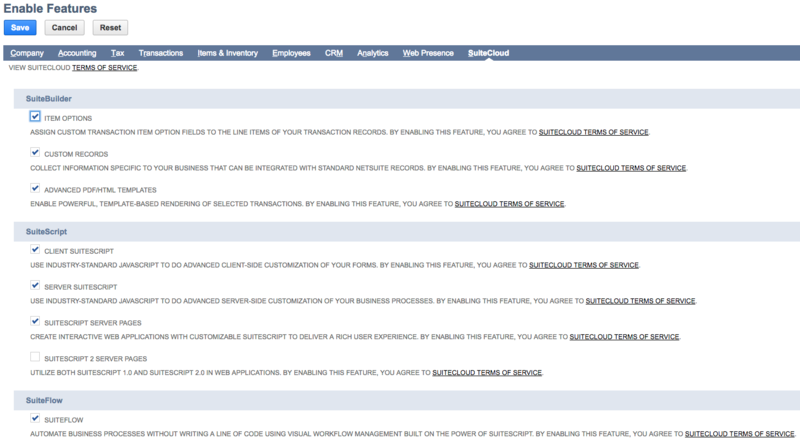 Customer selection will be preserved in NetSuite but will not be visible on the bill/credit in Bill.com. 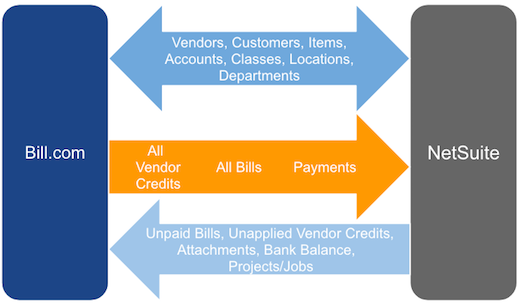 Don't Sync Unpaid Bills / Unapplied Credits from NetSuite: prevents bills and vendor credits to sync from NetSuite to Bill.com. Bills and credits will only sync from Bill.com to NetSuite. The sync setup is complete! 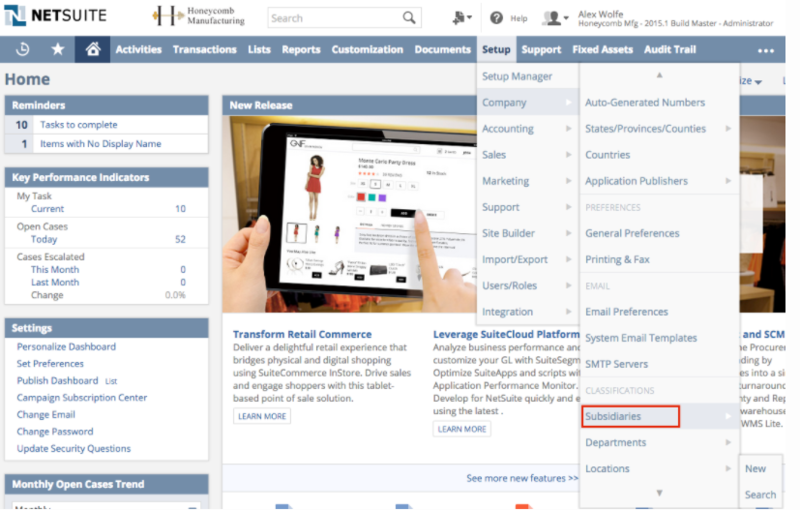 You can set up a sync button right on the NetSuite homepage. This button will make initiating a manual sync right from within NetSuite so that you do not have to navigate away if you don't want to. This step is optional. 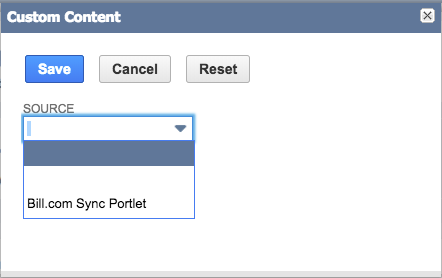 Now, you can click Sync Now to initiate a manual sync from within NetSuite.